Salzgitter Mannesmann Stahlhandel GmbH is represented on the German market as a stockholding trade in decentralized structures. Through future-oriented action, we not only offer perfect service, but also an extensive processing spectrum. State-of-the-art technology enables us to process almost any kind of profile, sheet metal, formed steel and tube - with high quality and exact dimensions for your final assembly. Thus you can concentrate on the essentials - your core business. We optimize your process chain and deliver reliably to your construction site, your warehouse or just-in-time into your production. Our warehouse-keeping business is the perfect combination of sales, service, warehousing and logistics. Salzgitter Mannesmann Stahlhandel GmbH Düsseldorf 19 Stahlcenter Baunatal GmbH Baunatal Salzgitter Mannesmann Staalhandel B.V.
Oosterhout, Niederlande 2 Salzgitter Mannesmann U.K. Ltd.
Gratkorn, Österreich 2 Salzgitter Mannesmann Stahlhandel sp. z o.o. Slupca, Polen 3 Salzgitter Mannesmann Stalhandel s.r.o. Budapest, Ungarn 5 Salzgitter Mannesmann Distributie S.R.L. 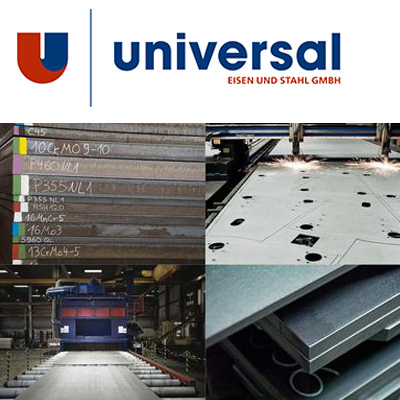 Universal Eisen und Stahl GmbH, founded in 1958 and since 2002 a fully owned subsidiary of Salzgitter AG, is today one of the competent and efficient providers in the market. In the warehouses in Neuss and Hanover, around 60,000 tonnes of steel are stocked in 40 grades. Universal is represented on all major sectors such as plant construction, construction machinery, rail vehicles, bridge construction, hydraulic steel construction, energy and in the wind power industry on- and offshore. Heavy plates form the constructive backbone of the industrialized world. Sophisticated quality management, efficient machinery, excellent supplier relationships, well-trained staff and flexible logistics create the trust of Universal Stahl customers. Neuss 6 Universal Steel America Inc.
USA 2 Universal Steel Holland B.V.
Couzon au Mont d'Or, Frankreich Universal Ocel spol. s.r.o. Prag, Tschechien Universal - Stal sp. z o.o. 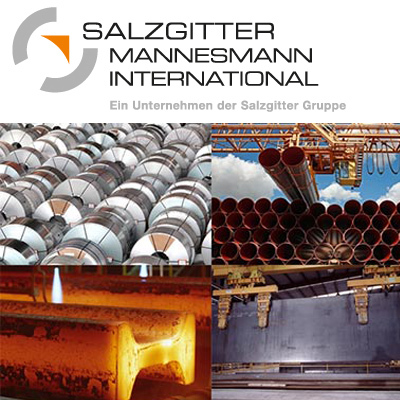 Salzgitter Mannesmann International is the one-stop-shopping-point for worldwide trading in steel and steel products, machinery, equipment, chemicals or pharmaceutical raw materials. You order as a customer, we do everything else. 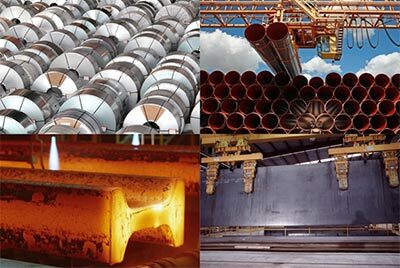 We know the international steel markets and can supply any steel quality and grade. Düsseldorf Salzgitter Mannesmann International (USA) Inc.
Houston/Texas, USA 2 Salzgitter Mannesmann International (Canada) Inc.
Vancouver, Kanada 2 Salzgitter Mannesmann International (HK) Ltd.
Hong Kong 5 Salzgitter Mannesmann Trade (Beijing) Co. Ltd.
China Salzgitter Mannesmann International (Asia) Pte. 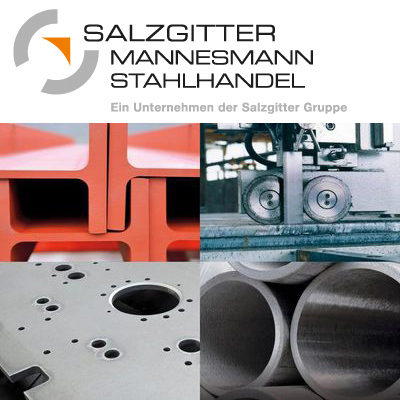 Ltd.
Singapur 3 Salzgitter Mannesmann Pentasteel International(India) pvt. Ltd.
Mumbai, Indien Salzgitter Mannesmann International (Mexico), S.A. de C.V.
Mexico Salzgitter Mannesmann International do Brasil Ltda. Paris, France Salzgitter Mannesmann (Italia) S.r.l.